Fit the black screen brackets to the silver headlight brackets, and loosely fit the 12mm screws to secure them. Do not tighten these at this stage. 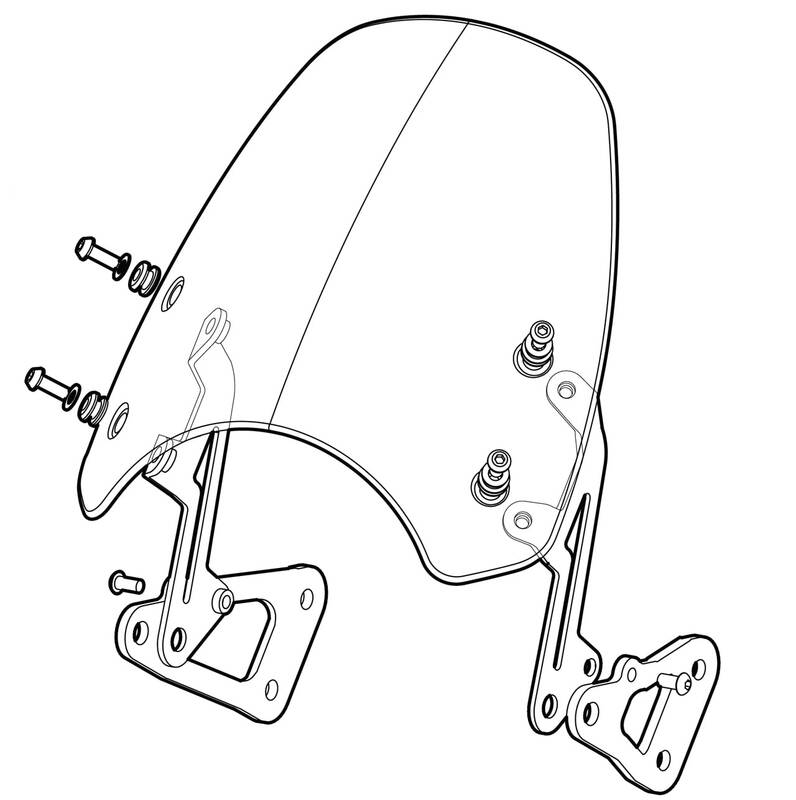 Make a note of the headlight adjustment, and unscrew the headlight from its brackets. Unscrew and remove the right hand headlight bracket from the bike. Fit the new bracket assembly to the bike using the existing pair of hex bolts. Do not tighten these fully yet. Sit on the bike and make sure the screen is central; this is achieved by eye. You should line up the headlamp too, so that everything looks right. When this is the case, tighten up the headlight bracket bolts. Adjust the headlight to the right height, and tighten the headlight screws. You can now tighten the 12mm bracket screws.